Early recognition as an outstanding young talent led to his appointment as principal baritone at Rostov State Opera and Ballet Theatre, singing all major baritone roles over a period of seven years. He subsequently joined the Astrakhan State Theatre before moving to the West to take up a scholarship for an MM (Opera) degree at RCS. During this period he took part in Masterclasses with Sir Thomas Allen, Dennis O’Neill CBE, Ann Murray DBE and Michael Chance. He has also benefitted from lessons with Simon Keenlyside and Vladimir Chernov. 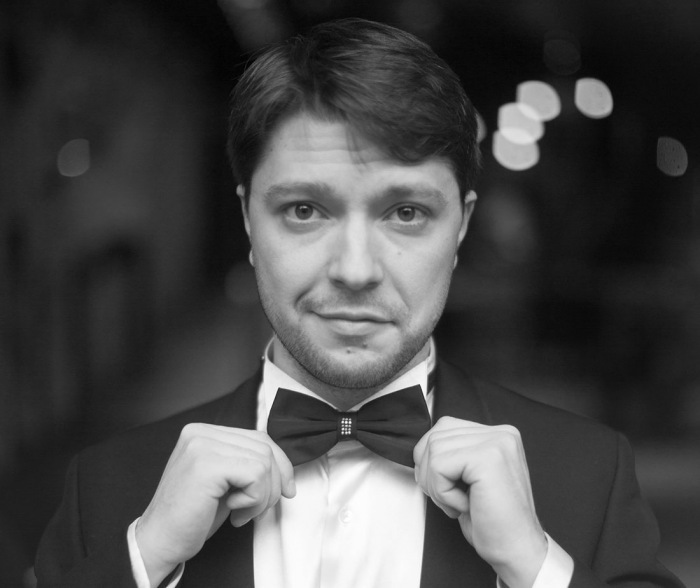 Alexey is an emerging artist with Scottish Opera; last season in a line-up of singers from the Bolshoi and Mariinsky Theatres, he sang Robert (Tchaikovsky’s Iolanta) to great acclaim. 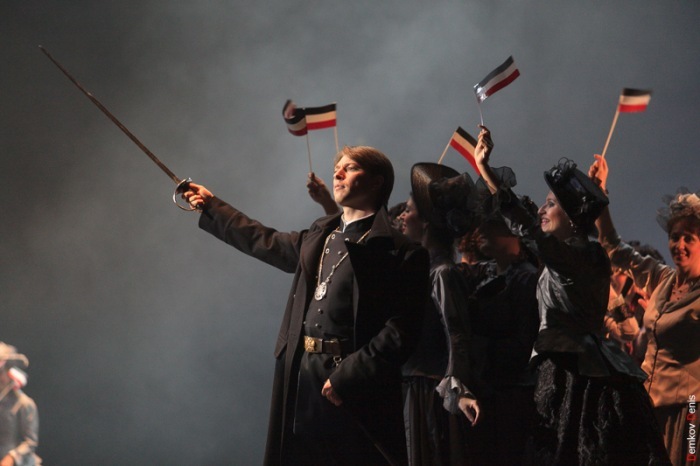 “Alexey Gusev’s Robert is impressive,and one to watch” theopera critic.com. In 2018/19 his roles include Marullo (Rigoletto) and Kuligin (Katya Kabanova) and for RSNO, he will sing the baritone solos in Carmina Burana. Alexey made his debut as Marcello in a fully staged production by Harry Fehr. The Manchester Theatre Awards hailed him a natural actor as well as a very fine baritone. Other distinguished conductors with whom Alexey has worked include: Andrey Anikhanov, Valery Voronin, Maurizio Dones, Derek Clark, Timothy Dean and Aleksandr Polyanichko. Alexey has recorded Russian songs with pianist Malcolm Martineau for the acclaimed series: Decades: A Century of Song Vol 3. Festival appearances include “ En Blanc et Noir” Festival in France; “Golden Mask” Russian Performing Arts Festival (Moscow), and Llandeilo Festival of Music (Wales). He has performed extensively in concerts throughout Scotland and the rest of the UK, including Scottish Opera’s 17- venue Opera Highlights tour. “This was singing at its sublime best, from an artist whose stage presence more than matched his impressive vocal ability" Julia Jones, Artistic Director, Llandeilo Fawr Festival of Music. For his Scottish debut Alexey made a great impact as Napoleon and Andrey Bolkonsky in Prokofiev’s War & Peace, a co- production of the RSAMD in collaboration with Scottish Opera. On the concert platform, Alexey takes pleasure in devising programmes that feature an eclectic mix of operatic arias, art songs, Russian Romances and folk songs. Recent festival and concert performances include EN BLANC ET NOIR in France; GOLDEN MASK Russian Performing Arts Festival ( Moscow), and LLANDEILO FESTIVAL OF MUSIC (Wales). Recent concert performances in the UK include Tavistock, Bradford on Avon, Salisbury, and Malvern. Copyright © 2019 ALEXEY GUSEV. All rights reserved.